Figuring out what to do when you’re on vacation is stressful. So many options. So many activities. If only there was some way — or someone — who could point you toward the best experiences. Someone wise, someone successful. Someone who yells his name at the beginning of literally every song made since 2015. DJ Khaled is the hero the world needs. And along with his sidekick Booking.com, he’s curating WE THE BEST experiences, all available to you at the touch of a button. This week Khaled and Booking.com announced the US launch of Booking Experiences, a platform where you can book expertly-curated activities in different cities, from culinary tours to horseback rides to jet ski rentals around fancy tropical islands. 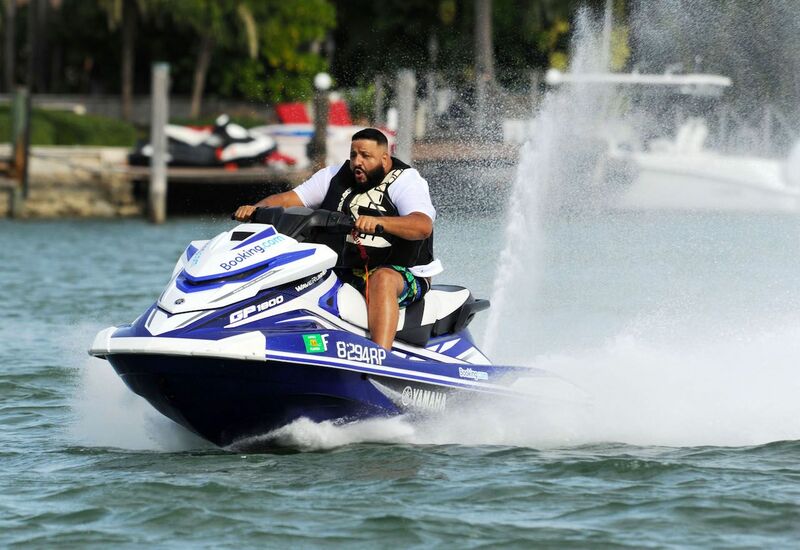 And if you’re going to Miami, those experiences will be curated by the globetrotting, up-blessing DJ Khaled. Those experiences will include stuff like sunset yacht cruises, laser mazes, trips through Miami nightlife, and getting lost on a jetski with only Snapchat to help you. Whether it was Snapchat or a miraculous after-dark sun that got Khaled safely to Rick Ross’ house that night is debatable, but unless you have millions of followers helping to guide you back, we don’t suggest doing Khaled’s experiences exactly like he does them. For example, you might not necessarily be able to book the five-bedroom ONE Sotheby’s mansion on Miami’s Hibiscus Island that Khaled used for the event. But you can ride the same jet ski that was parked out back. In a baggy white T-shirt, if you so desire. The experiences are open to anyone who books an accomodation through Booking.com, and will also be available in New York, San Francisco, and Los Angeles this year, with Seattle, New Orleans, Las Vegas, Honolulu, Chicago, Boston, and Washington, DC coming later. No word if hip-hop moguls will be curating the experiences there too. Though a Sir Mix-a-Lot tour of Seattle does sound enticing. Good vibes, good energy, and a jet ski? Can’t imagine a better way to see Miami. Or any other city for that matter. So next time you’re in South Florida, you too can see the city like DJ Khaled. Just make sure the jet ski is back before dark.